If you’ve ever wanted to take a URL or text from another app, and make it into a new task in The Hit List, now you can. We’ve added a Share extension to The Hit List for iPhone 2.2, which makes it easy and quick for you. This is a great boost to the power The Hit List gives you on iOS, and we hope it will save you valuable time during the day. 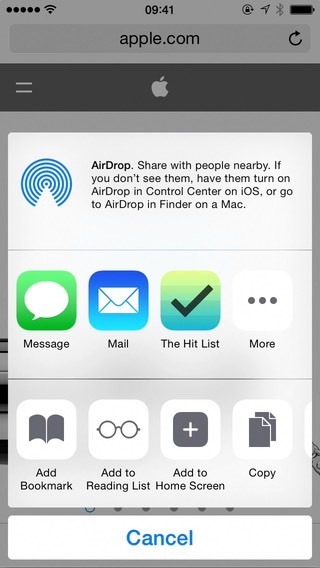 A wide range of apps support sharing, and The Hit List tries to handle that in as useful a fashion as possible. If there are any apps though that you use this feature in, and feel we could do more with handling the incoming data, we’re interested to hear about it, so please let us know.